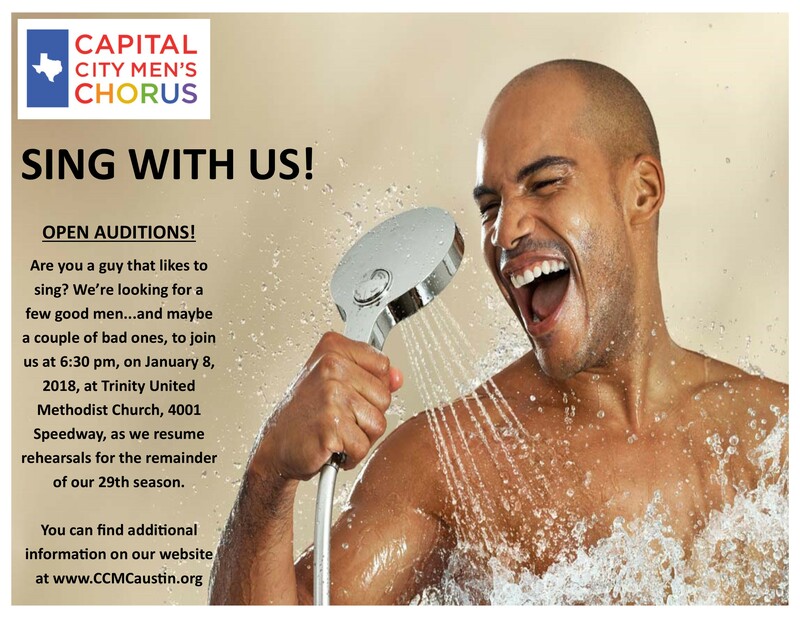 The Capital City Men’s Chorus is holding open auditions for the remainder of our 29th season! We have three performance opportunities left in this season…our always popular Valentine’s Cabaret in February, our annual appearance at the Austin St. Patrick’s Day Festival, and our Spring Concert in April. Auditions will start on Monday, January 8, 2018 at 6:30 pm, before our rehearsal at 7:15 pm. The auditions and rehearsal will be at the Trinity United Methodist Church, 4001 Speedway Austin, TX 78751. Please review our audition policy.